If you’re about to get your property valued, you probably have more than a few questions for the valuer that’s about to knock on your door. 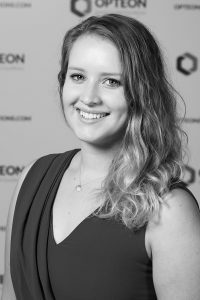 To knock off some of those questions in advance and help you prepare, we asked Opteon Sydney Valuer, Talia Powell about the most frequently asked questions she gets when conducting a valuation. What Qualifications do you need to be a valuer? All valuers must complete an API Accredited course, for example I completed a Bachelor of Business and Commerce (Property) at Western Sydney University. In addition to formal qualifications you need a period of practical experience. To become a Registered Property Valuer (RPV) you need a minimum of 1-year full time experience and to become a Certified Practicing Valuer (CPV) you need a minimum of 2-years full time experience. What happens to the photos valuers take during inspections? The photos valuers take during an inspection are not published online. The photos are included in the report to demonstrate that a comprehensive inspection has taken place and to show the bank the features of the property. We have offices all around Australia, and also in New Zealand, but many Opteon valuers live in the areas they value in, and luckily, have the flexibility to work from home in most cases. This means we can get a real locals’ feel for the area we’re valuing. What information do you collect during an inspection? During an inspection the valuer is collecting a large range of information about the property to provide an accurate valuation. This includes size and number of living areas and bedrooms, appliances, fit out, the year the property was constructed, if there have been renovations and/or extensions, features and fixtures as well as the external surroundings access and any other details that can affect the value. Why can’t you tell me the estimated value during an inspection? We collect a lot of information when we conduct a valuation, that then needs to be assessed in conjunction with other market information, like similar local sales information and upcoming development in the area for example. We need to head back to our desks and build a complete report. Also, as valuers, the instructing party and our client in most cases, is the lender. We have a responsibility to the lender to only disclose the information to them. It’s then at the lenders discretion to pass on any information supplied by the valuer. I’m putting in a new kitchen/bathroom, can you include it? There are two main basis of valuation, you can conduct a valuation on an “as is” or “as if complete” basis. In most cases we have been instructed on an “as is” basis, so we value the property as we see it during the inspection and cannot include incomplete works or planned renovations. Do you determine the market value or is it all done by a computer? A valuer assesses the market value of the property, using the information we’ve collected at the inspection and through online market research. The final figure is determined by combining that research with the knowledge of the valuer based on the most relevant market evidence available and is not a computer-generated figure. How do you determine the market value of a property? For a standard residential property valuation, we use two main methods, direct comparison and summation. Direct comparison involves looking at the most recent and comparable sales, making adjustments based on the features of the subject property. Summation is the process of adopting a rate per square metre for both the land and improvements, and this is used as a check method for direct comparisons. What factors can impact the value of my property? There are a range of factors that come into a valuation, we analyse a land and improvement value. Factors that affect the land include location, size, topography, shape and street frontage. Factors that affect the improvement value include size, age, quality, any renovations or updates.